Safety and security window film provides commercial property owners a cost-effective solution that protects their clients, staff, and valuables from a multitude of threats. From natural disasters to burglaries and explosions, security film protects the most vulnerable parts of any Colorado building– the glass doors and windows. Safety and security film bonds your existing glass together after impact, prolonging its life and deterring smash-and-grab burglaries. 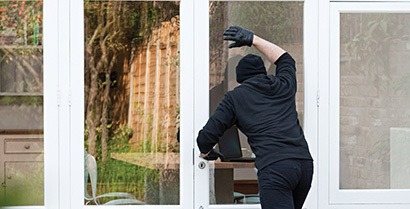 Burglars and intruders have increased difficulty gaining access to your Salt Lake office or retail space, giving you precious time to escape or hide until the police arrive. 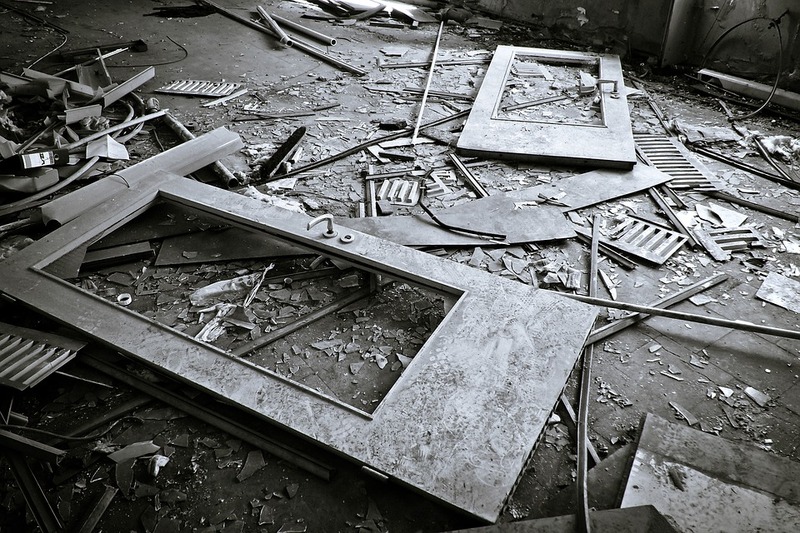 Protect building occupants and valuables from natural disasters. 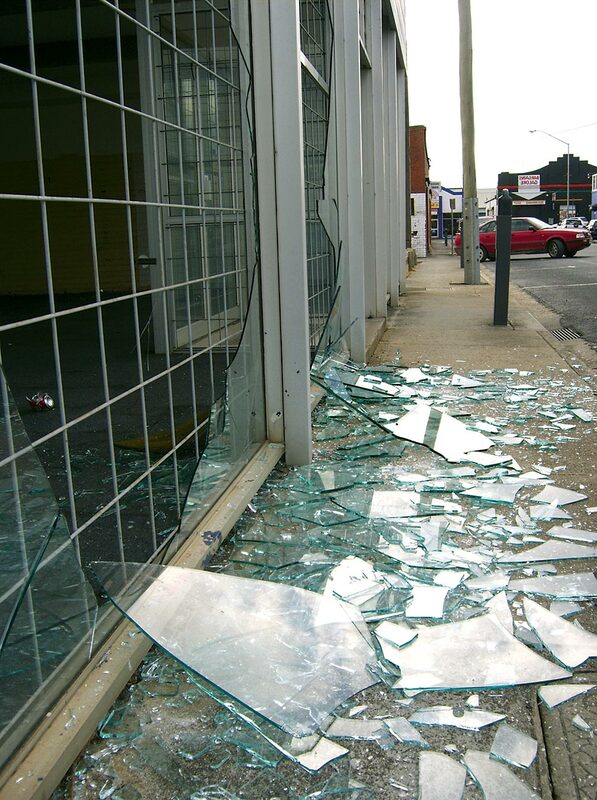 Safety and security window film mitigates broken glass and flying debris hazards, one of the biggest causes of significant injury and blast-related deaths. Security film also minimizes business downtime after an event, making clean-up quicker and safer. Accidents can happen. Minimize safety concerns and add premium security benefits with safety and security film. Security film also offers UV blocking properties with the ability to block out up to 99.9% of UV rays. UV rays are responsible for fading floors, discoloring furniture, shortening display product life, premature aging, and significant eye and skin health. Prolong merchandise life, protect art and furniture, and defend against UV rays in your Colorado office or retail space. Safety and security film contains either tough, break-in resistant polyester or ceramic material that is installed and attached to existing windows and glass doors. The film holds broken glass fragments together even if the impact completely shatters it. The polyester or ceramic web is actually fused to the glass itself, preventing any of the glass shards from falling on the ground. Our security film experts make installation quick and easy, meaning your commercial space can experience all the security benefits within hours. 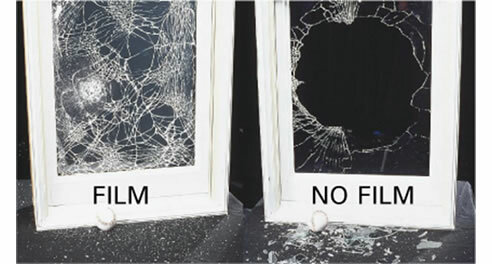 Removal and replacement of broken windows with security film installed is also much easier and less messy. For more information on the applications, process, products and pricing for window tint contact Colorado Commercial Window Tinting today for a free, on-site consultation with one of our window film experts.